The ITM series of Hydraulic Tilt Induction Furnaces are suitable for melting and casting large volumes of metal. These systems are have a high level of automation making the systems easy to use and ensuring the safety of the operator. 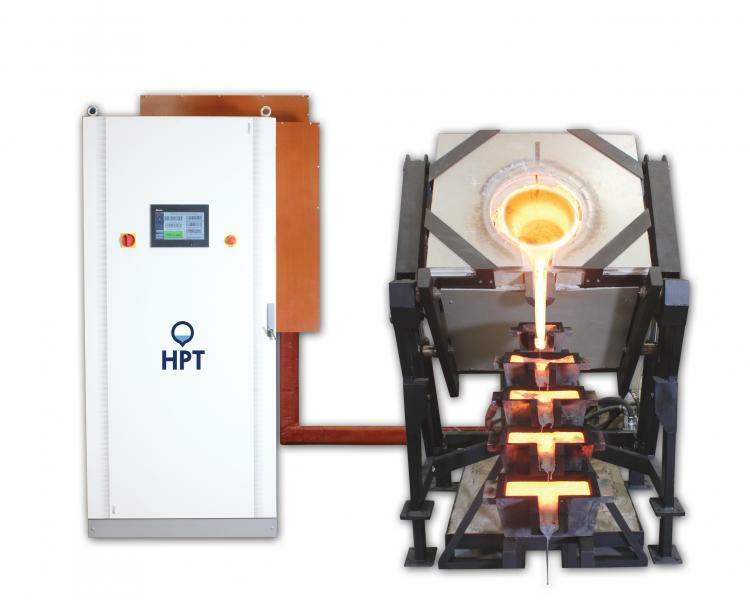 HPT supply a range of furnaces from 50kg up to 2 tons, in crucible or refractory lined configurations. The induction power supply and secondary side cooling (water tank, pump and heat exchanger) is fully integrated, and completely managed from a centralised supervisory PLC system. This allows the operator to focus on the process, rather than on independent subsystems. The system has a number of Interlocks that protect both the induction power supply and the operator. All faults are clearly indicated on the user interface. All critical parameters and alarms are displayed and controlled on a 10” 65536 colour touchscreen panel, making the system very easy to use.